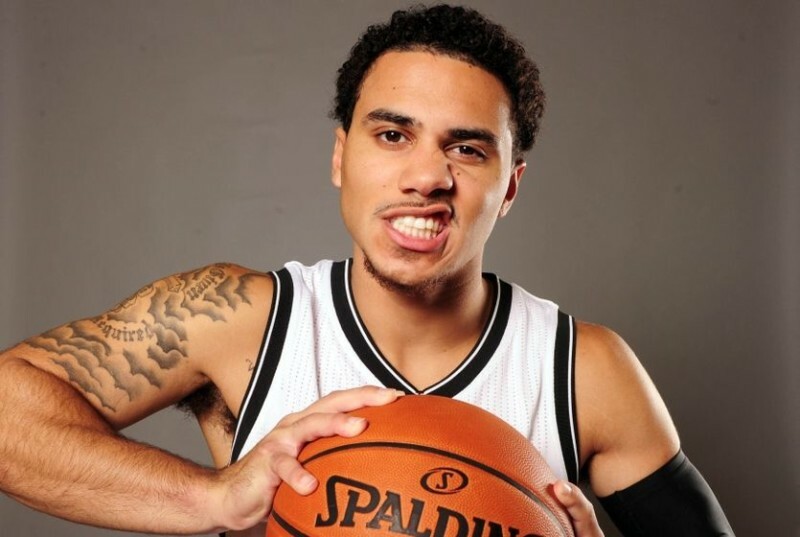 The Boston Celtics announced last week that they've agreed to a contract with former NBA point guard Shane Larkin, who spent last season playing overseas after stints with the Mavericks, Nets, and Knicks. Larkin is believed to have left some significant money (reported at $6.3 million) on the table to sign in Boston for a $1.5 million 1-year deal with the Celtics. "Some nights I would play well, and other nights I would just disappear and not impact the game offensively or defensively." Larkin told Kennedy. "Going overseas, and being given that responsibility...'we need you to get 15-20 points every night, to lead the team, to be vocal on the defensive end and put everybody in place.' It definitely helped me get my confidence to where I think it needed to be. ", Larkin said. "I'm sure with given the opportunity this year that everybody who had seen me before in the league will think I'm a totally different guy, because my mindset has changed in so many ways." The addition of Larkin puts the Celtics at 16 players on guaranteed deals heading into training camp, which means that before the season begins the C's will have to move on from one of those players under contract with the roster limit set at 15. This is nothing unusual for the Celtics as they've been in this same situation heading into the previous three seasons as well. While the signing of Larkin certainly creates some competition in camp for that final roster spot, my guess is that him making the team will rely heavily on Isaiah Thomas' ailing hip - for which we are still waiting for an update on from the Celtics whether or not it's going to require surgery. If Thomas isn't going to be ready to start the season my guess is Larkin will be a nice safety valve for them to have another ball-handler with NBA experience on the roster. As of now the C's have Thomas, Marcus Smart and Terry Rozier to run the point after they jettisoned Demitrius Jackson last weekend. With Kadeem Allen on a two-way deal - and able to join the main squad in a pinch - going into the season with three guys that can run the point would be fine, but if Thomas is going to miss some time then they'll need another guy with NBA experience and Larkin fits the bill. If IT is good to go Larkin will have to be pretty impressive to unseat the other guy the Celtics just signed, Daniel Theis, as he's a defensive stopper who plays multiple positions that has 'Brad Stevens guy' stamped on his forehead. Barring a trade of some sort those are likely the only two guys who will be on the chopping block come roster cutdown day. Either way, it's a good opportunity for Larkin to showcase himself playing with and against NBA caliber talent during training camp and the preseason. He'll likely be able to latch on somewhere else if he doesn't make the cut in Boston.